Completely remastered, these classic songs—incorporating gospel, traditional hymnody a cappella and ballad styles—sound better than ever. There Is a River is the debut solo collection of Tim Manion, one of the original St. Louis Jesuits. Completely remastered and available on CD for the first time, these nine classic songs make a heartfelt prayer for peace and justice. Originally released by North American Liturgy Resources (NALR) in 1985, the collection incorporates gospel, traditional hymnody, a cappella and ballad styles. Tims good voice and guitar, and his gift for poetic song texts -- all familiar from his days with the Jesuits -- shine through each of the nine songs. The album opens with Pray Peace, an a cappella work based on Psalm 122. Handclaps carry the song forward -- and give it a processional rhythm -- while an enthusiastic gospel choir closes each verse with pray peace! A poignant dirge arranged for solo voice, Rachels Lament (For the Innocents) speaks not only to the Holy Innocents honored on December 28, but to all innocent life lost to war and other tragedies. It ends with a call to spend our lives that the children may die no more. A triumphant, gospel-style hymn for choir and organ, the title song invites us to join the voice of the river: Broad are its waters, and deep are its voices./ Its songs are of peace in the house of the Lord. The collection also includes How Can I Keep from Singing, the traditional Quaker hymn in a lovely new choral arrangement by Tim. Besides producing the recording, fellow liturgical composer Tom Kendzia plays piano, Hammond organ, pipe organ and Fender Rhodes electric piano here. The talented choir includes Paul Hillebrand. Thanks to this new CD and songbook, the ritual songs of There Is a River are available again for the first time in years. Considering the ongoing trouble in our world, todays worshipers would do well to sing and pray these songs for peace. There Is a River is the debut solo collection of Tim Manion, one of the original St. Louis Jesuits. Completely remastered, these nine classic songs make a heartfelt prayer for peace and justice. Originally released by North American Liturgy Resources (NALR) in 1985, the collection incorporates gospel, traditional hymnody, a cappella and ballad styles. Tim's good voice and guitar, and his gift for poetic song texts -- all familiar from his days with the Jesuits -- shine through each of the nine songs. The album opens with "Pray Peace," an a cappella work based on Psalm 122. Handclaps carry the song forward -- and give it a processional rhythm -- while an enthusiastic gospel choir closes each verse with "pray peace!" A poignant dirge arranged for solo voice, "Rachel's Lament (For the Innocents)" speaks not only to the Holy Innocents honored on December 28, but to all innocent life lost to war and other tragedies. It ends with a call to spend our lives "that the children may die no more." A triumphant, gospel-style hymn for choir and organ, the title song invites us to join the voice of the river: "Broad are its waters, and deep are its voices./ Its songs are of peace in the house of the Lord." The collection also includes "How Can I Keep from Singing," the traditional Quaker hymn in a lovely choral arrangement by Tim. Thanks to this CD and songbook, the ritual songs of There Is a River are available again for the first time in years. Considering the ongoing trouble in our world, today's worshipers would do well to sing and pray these songs for peace. 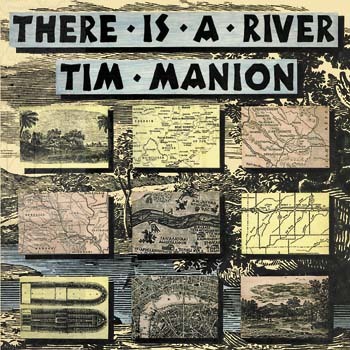 This is the MP3 playlist for There Is a River, by Tim Manion. Originally released by North American Liturgy Resources (NALR) in 1985, the collection incorporates gospel, traditional hymnody, a cappella and ballad styles. Tim’s solid vocal and guitar skills as well as his gift for poetic song texts—all familiar from his days with the Jesuits—shine through in each of the nine songs. The collection also includes “How Can I Keep from Singing,” the traditional Quaker hymn in a lovely choral arrangement by Tim. Besides producing the recording, fellow liturgical composer Tom Kendzia plays piano, Hammond organ, pipe organ and Fender Rhodes electric piano here. Thanks to this CD and songbook, the ritual songs of There Is a River are available again for the first time in years. Considering the ongoing trouble in our world, today’s worshipers would do well to sing and pray these songs for peace.